Fall is my favorite time of year. To me, nothing says fall like the smell of simmering apples and spices scenting the air. Besides filling the house with a delicious aroma this recipe also provides a delicious fall dessert with very little fuss on your part. 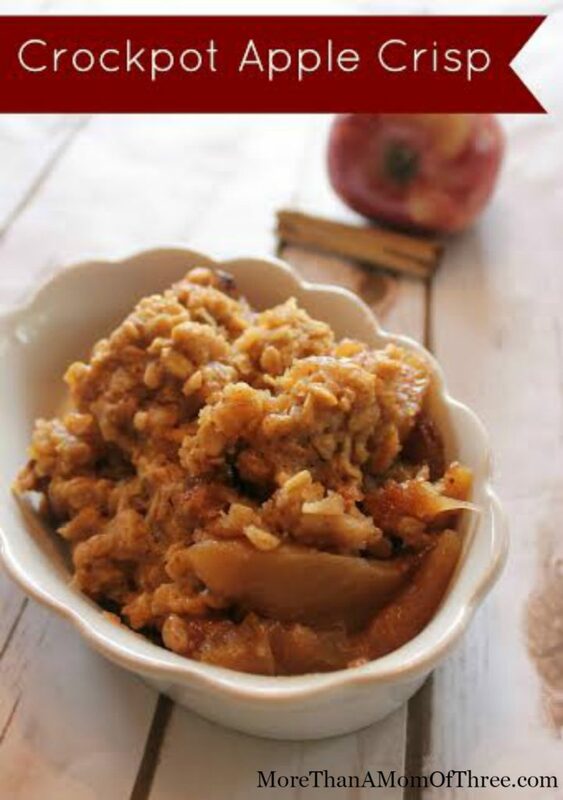 This crock pot apple crisp recipe ends an any day of the week meal with a special feel or makes a dull weeknight cozy and warm with its flavor and scent. Make a batch the next time you bring home apples and impress your family with your baking skills while not actually slaving over the stove for hours. 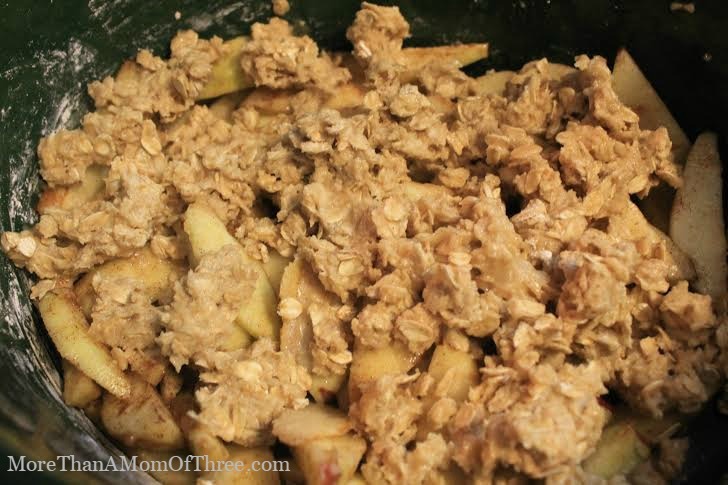 This crock pot apple crisp recipe will not disappoint anyone. Spray crockpot generously with nonstick cooking spray. 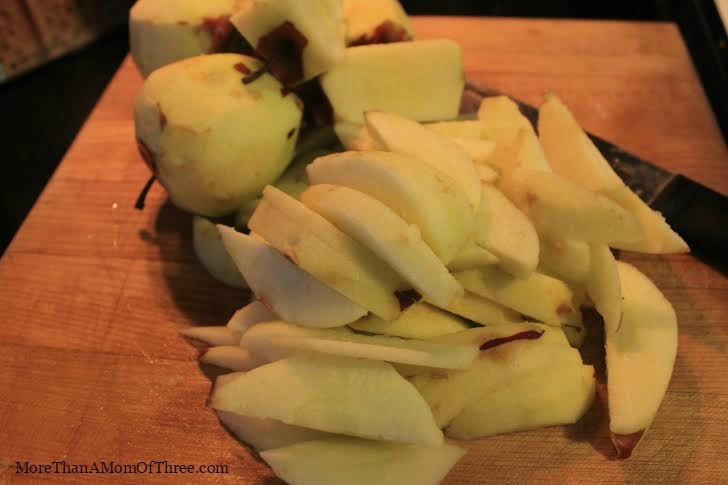 Peel and slice apples to ¼ ” thickness. 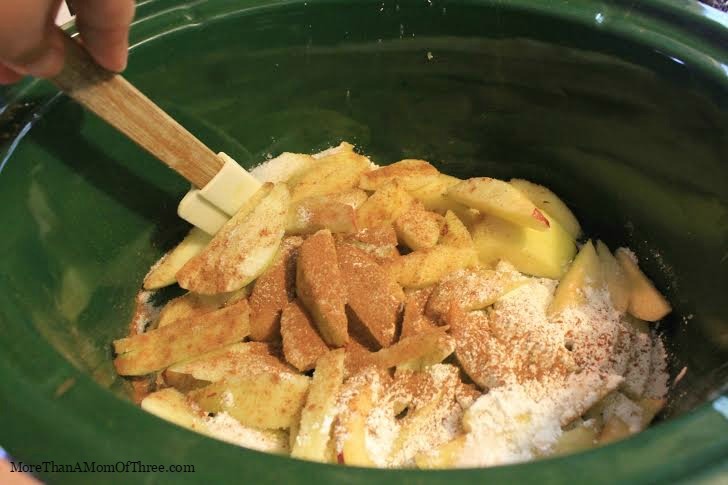 Place apples, sugars, cornstarch, apple pie spice, cinnamon, salt, vanilla, and lemon juice in crock pot and stir well to coat all apples well. 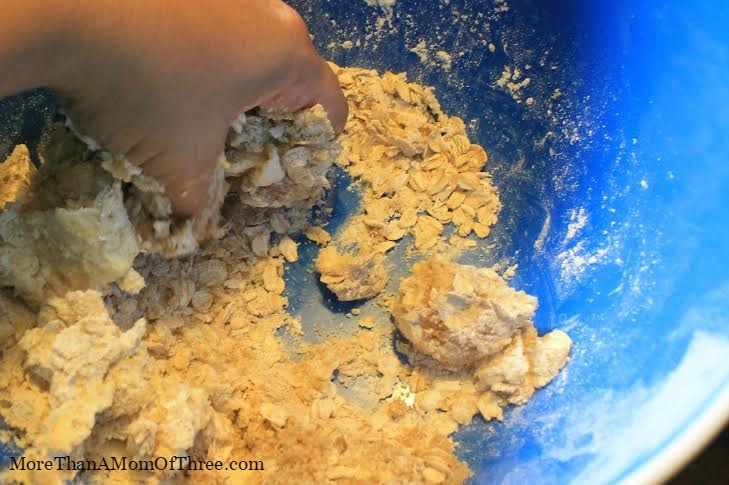 In a separate bowl combine butter, flour, oatmeal, brown sugar, and cinnamon, use your hands to incorporate all ingredients fully. Sprinkle crumb topping over apple mixture evenly. Cook covered for 2 hours or on low for 4 hours. Crack the lid on the crockpot slightly to allow steam to escape so topping can harden for an additional hour. Serve with whipped topping or ice cream while still warm from the crockpot. Enjoy the fantastic smell in your home and dig in. Do you have a favorite apple fall recipe?